According to the internet, a fireplace is an architectural structure designed to contain fire. Fireplaces are used at the present time mostly for the practical purposes of heating, cooking, and heating water for laundry and domestic uses. 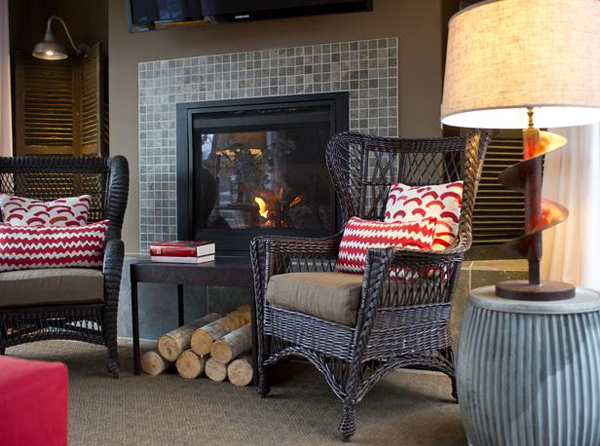 Fireplaces have variable heat efficiency. Today, we will be showing you a collection of 15 Lovely and Stylish Living Room Fireplaces that may truly interest you because of the uniqueness and beauty each fireplace has. It comes in different shapes and sizes, different designs, colors or even materials. Take a look at this collection and tell us what you think! 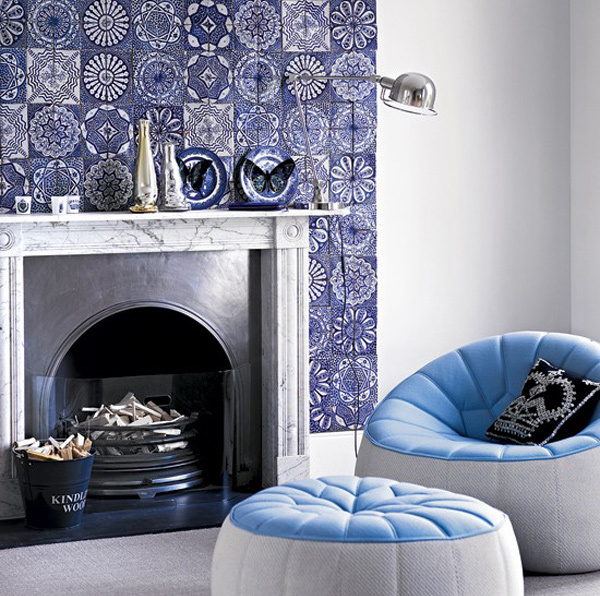 This quirky living room combines contemporary accessories with retro-inspired touches. 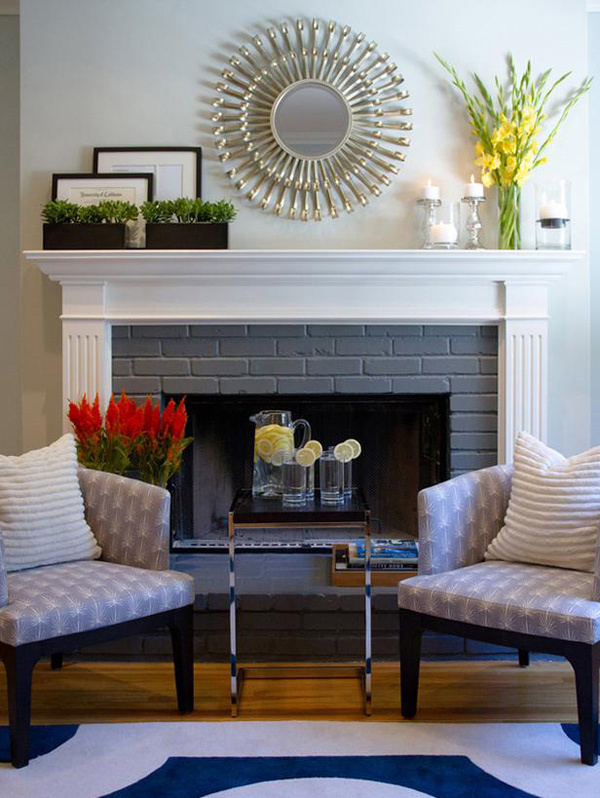 The modern fireplace is flanked by accent chairs and features a sunburst mirror above. 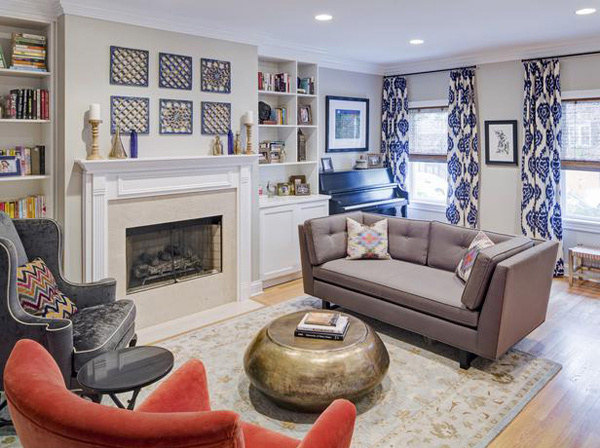 This family room features a diverse mix of fabrics, patterns and materials to create a globally-inspired, eclectic space. The deep midnight blue accent color on the drapery is carried over to the hand-painted wooden plaques above the fireplace. Neutral walls, flooring and furniture open out this small cottage living room and make a feature of the fireplace with its burnt-wood mantel. The linear shape of the room is broken up with the use of goat-hair cushions and full-length linen curtains. 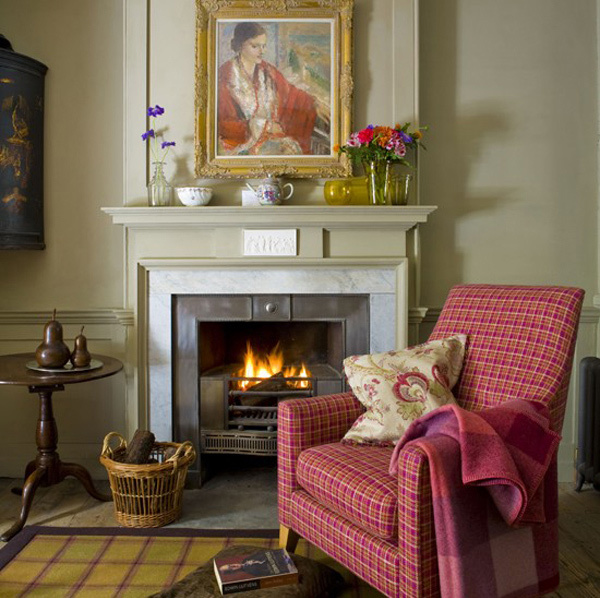 Tartan upholstery in fresh raspberry and orange lifts this living room and is teamed with earthier peat and charcoal shades. 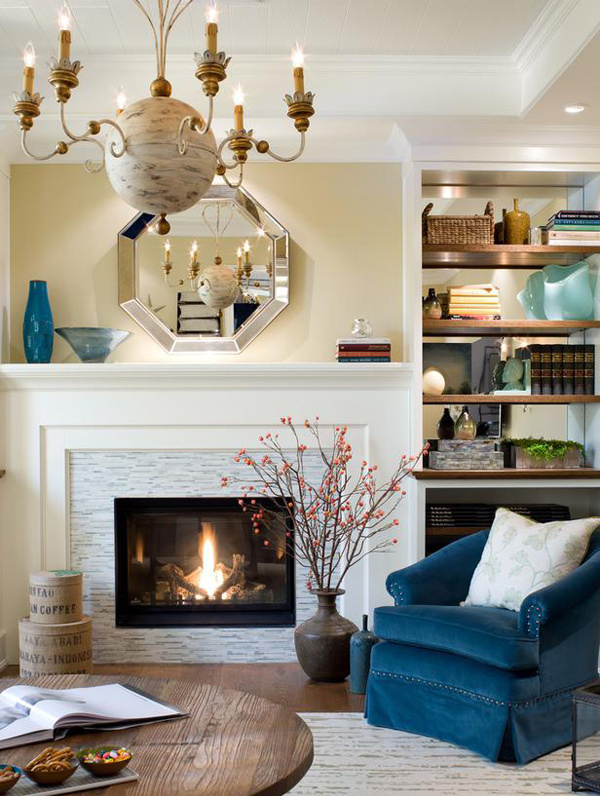 An elegant fireplace creates a warm and cosy look to snuggle up next to. A tartan rug warms the stone floor. 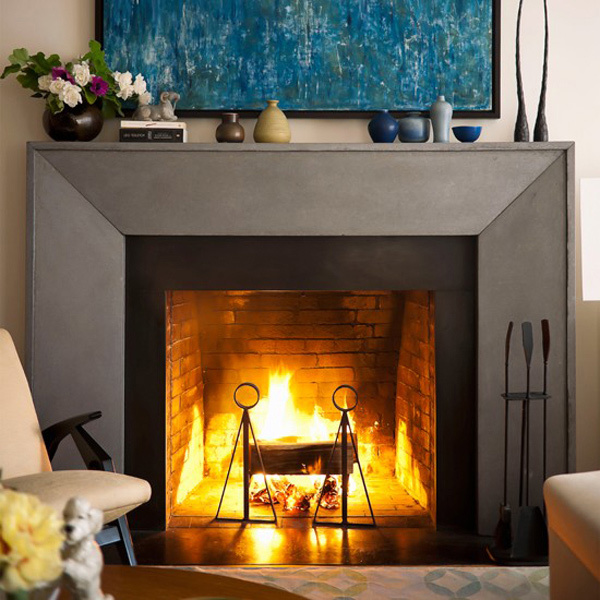 A direct-vent gas fireplace serves as the room’s heat source. The surround and hearth, clad in slate tile, complement the room’s selection of rustic and industrial home furnishings. 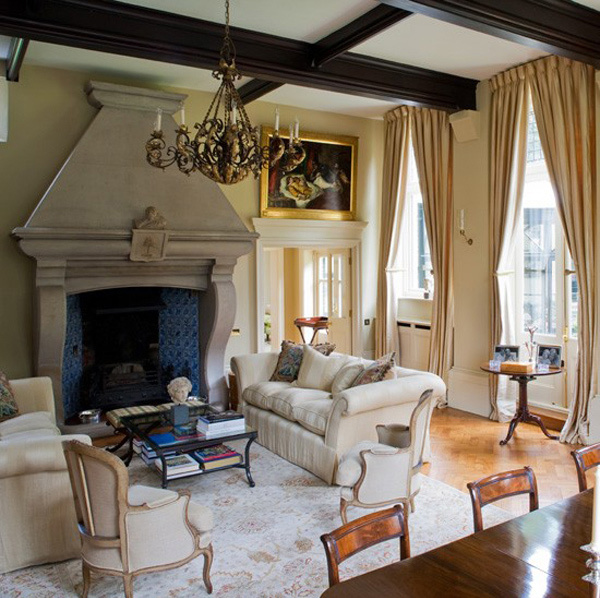 Soft colors on the walls and furnishings allow the original features and striking fireplace to take centre stage. For a traditional look, dark-wood furniture, gold lighting and a classical painting are perfect. Sterling gray, white, black and hot lime makes up the palette for this up-to-the-minute room. The fireplace is just stunning. Immaculate combination of white, beige and gray for the fireplace area sure made this living room lovelier than it already is because of the decorations in the space – take for example, the chandelier. A living room fire, with grey slate surrounding, brings a warm and inviting feel to this living room. The blue and green painting above is a perfect contrast to the cool tones of the slate, lifting the look instantly. Artisan tiles are too beautiful just for the bathroom: used around a fireplace they add a neo-Moorish mood to this living room. 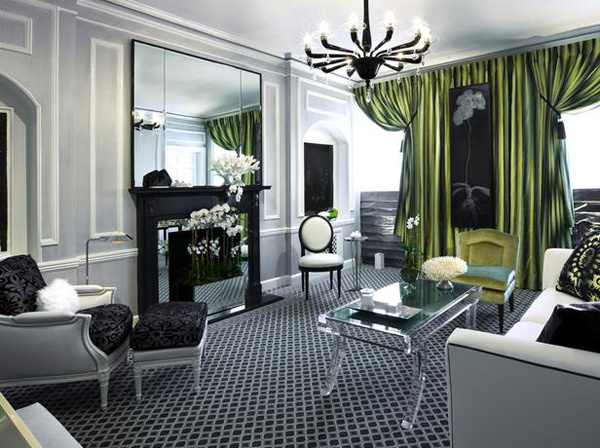 Although this space is filled with neutral colors, it is incredibly rich with texture and detail. 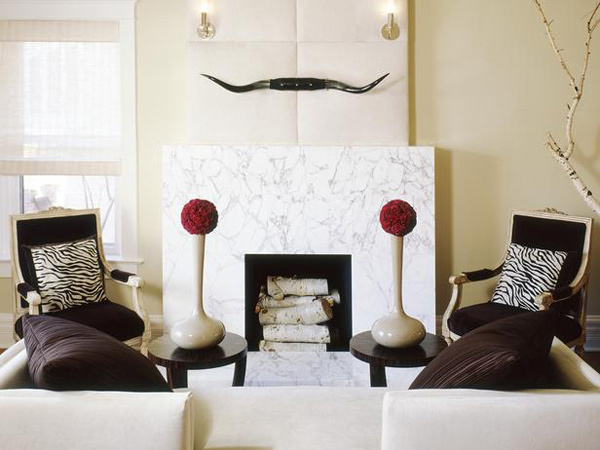 The fireplace surround is Carrera marble and the chimney is upholstered in suede and decorated with a pair of longhorns. Mod wallpaper highlights the rustic stone fireplace, while a grouping of contemporary furniture provides the perfect cozy seating area. Give your fireplace star treatment by setting it against a dramatic velvet stripe wallpaper and hanging a bling sunburst mirror above. The Carrera marble surround of the fireplace bring sophisticated glam to the casual living room. 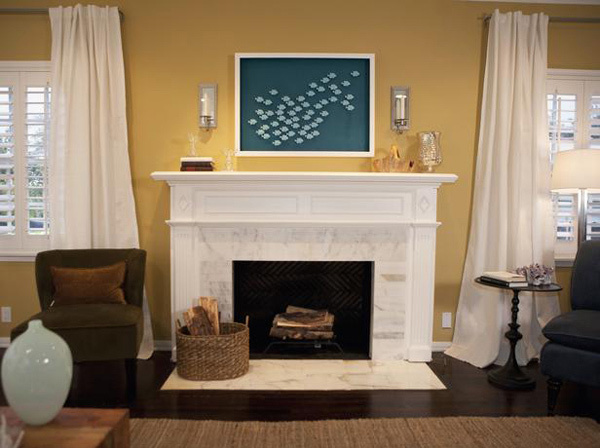 Above the mantel is a playful piece of artwork featuring a school of fish. And there you have it! 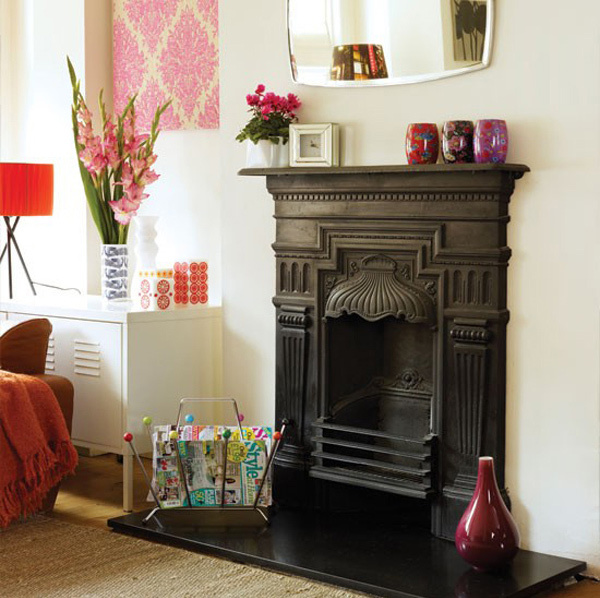 Our 15 Lovely and Stylish Living Room Fireplaces which are as fab as some of the other fireplaces collection that we have here in Home Design Lover! 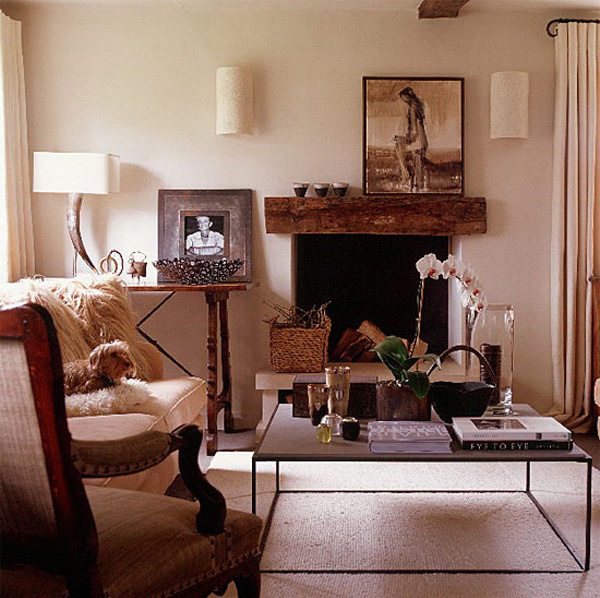 We love how modern one fireplace can be and still be able to look pretty in small and fun spaces! Take a look at our modern custom fireplaces for your homes and share them to your friends!